We are always looking for new ways to partner with and collaborate with departments and programs across campus. Join our new Faculty & Staff Newsletter to stay up to date on all Safer events and activities. Schedule a presentation from Safer for your classroom or organization. A majority of survivors only disclose to one person, and only 20% of student victims report to law enforcement. Your reaction will either help or hinder their healing process, and being available as an active supporter is vital. As a reminder, faculty and staff are mandated reporters, but that conversation can still be a healing, comforting experience. The following are general guidelines to being an advocate for students, and supporting them throughout the entire experience. Be a source of support before they've disclosed to you. Put a Safer sticker, Sexual Assault Awareness Month ribbon, or some kind of marker in your office that shows you are aware of the issue, and can be a resource to them if necessary. Consider keeping a stack of Safer business cards in your office. Even if the student doesn't want or need to disclose to anyone while visiting office hours for an unrelated issue, it will be a marker that you are available for support. Include Safer's resources on your syllabus, and address our available support options in class. Invite Safer to present in your class. We offer presentations ranging from 15 minutes to 2 hours, and can cater our discussion to any topics that you deem relevant to your classroom. While most of our classroom presentations occur at the beginning of the quarter, consider inviting us during more stressful times of the quarter when trauma-related stress may peak​. Create a class project or assignment that encourages interaction with Safer. This can include having the group plan an event with Safer, create a video, or attending a Safer event. Co-host an event with Safer. There are endless ways to collaborate on new events for Safer, with the topic of gender-based violence affecting all students on campus through one way or another. Reach out if you have any ideas, or if you would like to get involved with existing projects! Remember: sexual assault is a massive problem on college campuses across the nation, Cal Poly included. Statistically, you will be speaking to many victims and survivors in your classrooms. Keep this in mind, and be conscious of your words. Language matters. Believe them and listen to them. If a student does approach you wanting to confide in you, the most important thing you can do is believe and listen to them. Do not victim blame - sexual assault is always the perpetrator's fault. Victims do not "ask" or "deserve" to be assaulted. Do not ask what they wore, how they acted, their level of sobriety, etc. - this is incredibly damaging and places the blame and responsibility on the survivor. Provide resources to support the survivor. ​​Be aware of resources on campus and in San Luis Obispo. Familiarize yourself with the broad scope of Safer's resources, as well as RISE, University Police Department, Title IX Office, and the University Counseling Center. Offer these options to your students. ​​Let the survivor guide the process and make all the decisions. Sexual assault may take away the survivor's feelings of autonomy, so regaining that control over their life is important. It is not your job to investigate the details of what happened, to tell them what happened to them, or to label them a victim/survivor. Give them the power to dictate their path of recovery, and support them the entire time. ​​​Students will often request academic accommodations from the Dean of Students office, to help ease the tremendous amount of stress they may be under. We encourage faculty and staff to work with students in distress to create a plan of action for completing course work while still taking care of themselves. Don't interfere with an ongoing investigation. Allow UPD, the Title IX Officer and the Office of Student Rights and Responsibilities to conduct their investigation if the student does decide to report. Remind them that they have the right to advocacy and accompaniment through Safer. Consult Safer if you have any questions. Please visit our office in UU-217, Monday through Friday, from 9am-5pm if you have any questions. Or, feel free to email safer@calpoly.edu. Sexual assault is a sensitive topic, and Safer coordinators are trained to help. 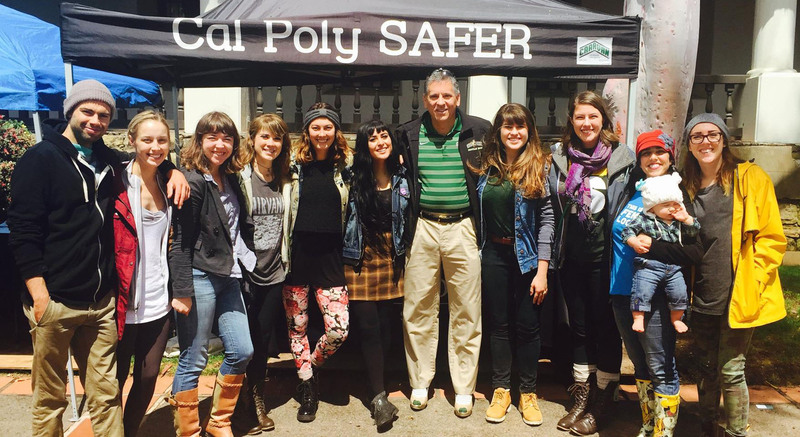 Safer is a resource available to all faculty and staff at Cal Poly. All of the services listed under the “What To Do If...” page apply to faculty and staff as well.